Well I was at CEX again, and I decided to get FIFA Football and Virtua Tennis 4 for the Vita. Do you ever get that exciting feeling when you got a new console, that you’re game collection for it is really starting to grow? Well, I’m starting to feel that now with my Vita! 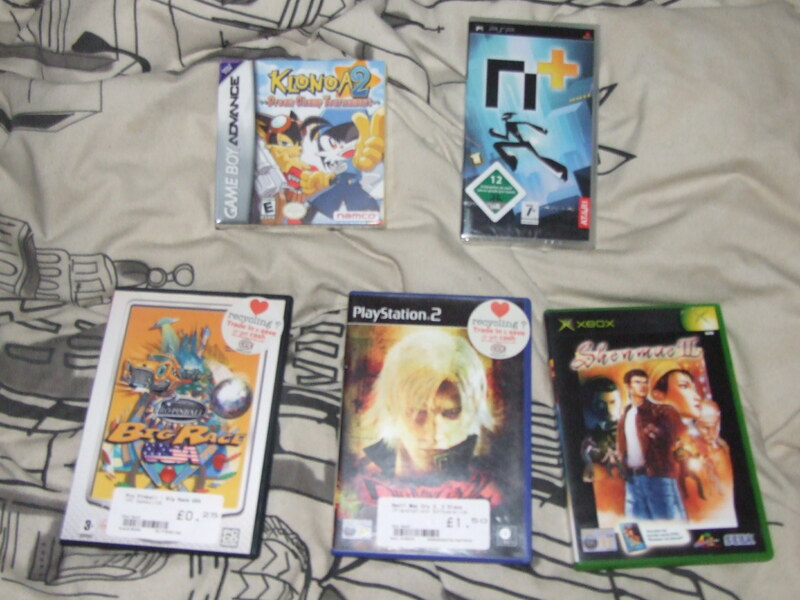 Well, Pinball Big Race USA (Bottom left game) and Devil May Cry 2 were bought from CEX the other day. Retro Pick-Ups – Not PSP this time! I’ve got a few deals in the past week that I’ve been forgetting to post here, so here’s a round-up of what I got this week. Clockwise starting from bottom left, I got Tony Hawk’s Project 8 for the Xbox, because why not? I was wanting to see what the Xbox version of the game is like, as it’s the only version I haven’t played, and to sum things up, it’s basically the PS2 version (as expected) but running at 60fps, making it, in my opinion at least, far superior to the PS2 version. The only gripe I have, is that you have to press white to do flips, so it’s hard to do a trick while doing flips, but other than that, I love it! The last gripe I have is that they’ve added a more complexity to the game, it’s still very simple, but they’ve added the ability to substitute players and they’ve added a manager mode, which is exactly as it sounds, I’m glad they didn’t go any further than that, otherwise, in my eyes, it’d just be a failed contender to FIFA or PES, which it really shouldn’t be. I got Mortal Kombat 3 (as not seen by the picture, thanks to the flash!) for the Mega Drive, it was only £4, so I decided to get it, and it’s a great port, unlike the original game, it’s got most of the sound effects and music in the game, and the game feels a lot more solid and fluent, the only problem is that you still can’t pause, even with a 6-button controller! I got Jet Ion GP for the PS2. I’ve started hearing about this game not too long ago, it appeared in my suggestions on Amazon when I was browsing there one time, saw gameplay footage, and heard that it wasn’t great. I love the idea behind it, and it has a nice style to it, I decided to get it if I find it cheap somewhere, and lo and behold, CEX had it, for 25p! Yeah, the reviews were right when they said it wasn’t great, the game runs awful, despite seeing gameplay footage of the game running smoothly, so it must be a PAL thing. It barely reaches 30 frames when you’re in time trial or qualifier mode, and still manages to slow down, and you can have up to 8 ships in an actual race! “Well maybe the 30 frames is just a cap.” You might be wondering. Well do you know about Checkered Flag for the Atari Jaguar? Well, think about how bad that game ran. That’s how Jet Ion GP runs in a race, I’m not kidding! I got Wall-E for the Wii, and I kind of regret it, because I’ve decided that later down the line, I might get myself a PS3, due to all of the awesome looking exclusives it has, which is ironic if you think about it, because it was the PS3, and all of it’s multi-media features, that drove me to retro gaming in the first place, but since then, the PS3 has gotten slimmer versions that are apparently more dedicated to gaming, despite no backwards compatibility, and the PS3 has gotten some really good exclusives, such as Yakuza 3 and 4, Heavy Rain, Beyond 2 Souls, Little Big Planet, Pain, the Ratchet and Clank games and more. What has this got to do with Wall-E? Well, the Wii version has no support for the classic controller, meaning you have to use the Wii mote… I should have wait until I got a PS3, and got the PS3 version of the game, as it’s the same, only you can use an actual controller. That’s right, I got a PS Vita! 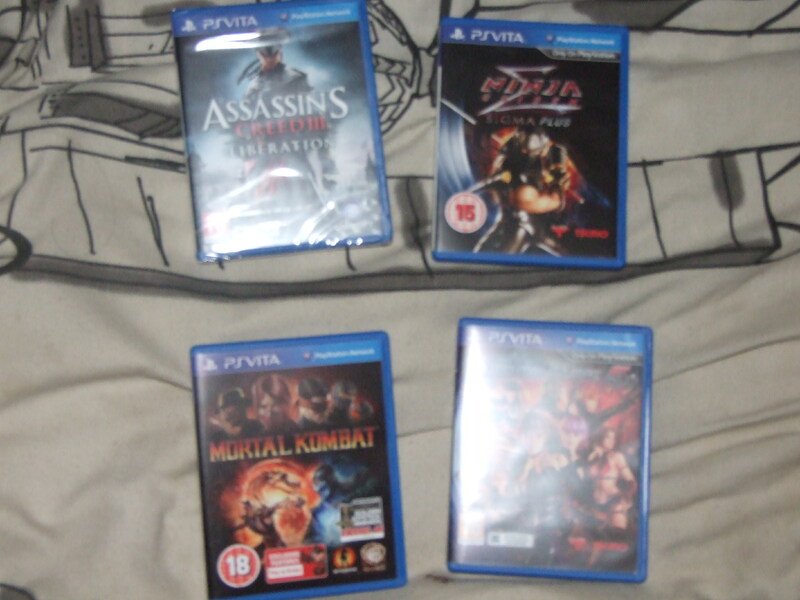 I also got a few (retail) games with it, including Mortal Kombat 9, which I’ve been wanting to play for years now! Dead or Alive 5+ is fun, although the developer didn’t put much effort into making it fit for the Vita, the lifebars are tiny! Tearaway is absolutely brilliant, it’s probably the best portable game I’ve ever played, well, 4th, right behind Pokemon Silver, Yellow and Pinball. I love Tearaway’s style and it’s light hearted-ness, I love that the developer still brought out a bright, colourful and silly game in a world currently overrun by dark and gritty games! In fact, I loved it so much, that I bought a physical version! I needed to have this gem on my shelf! So my first impressions on the Playstation Vita? Seriously underated! 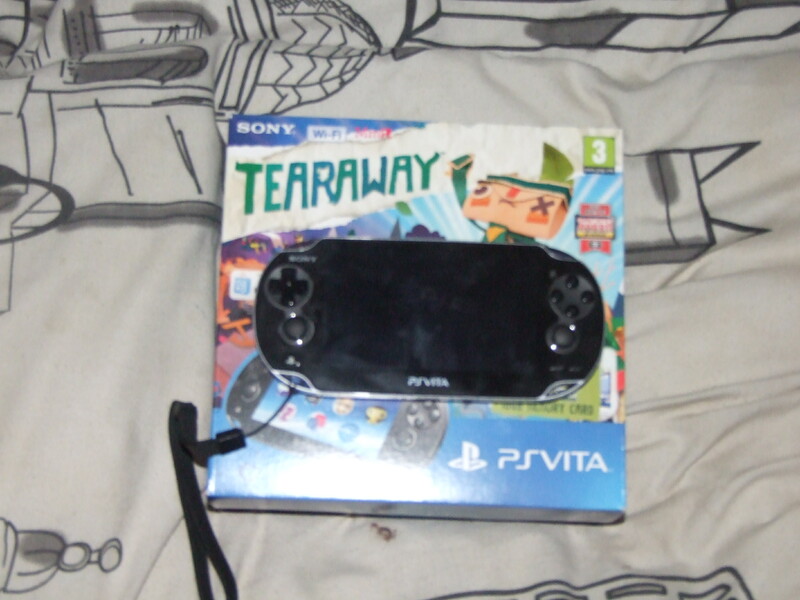 It needs more owners, Tearaway alone is a good reason to own a Vita! 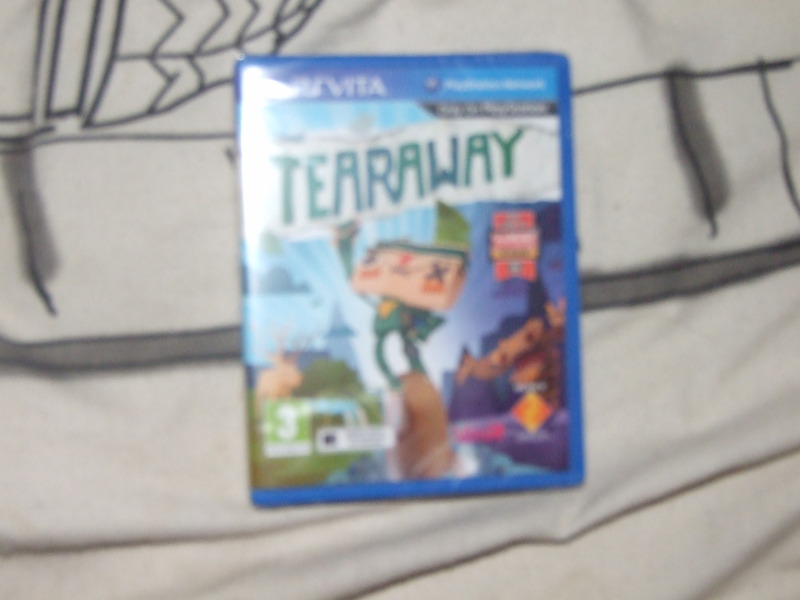 Although I would get a 3G version on it’s own, and a retail copy of Tearaway, it doesn’t matter if you prefer physical or not, you need to have a version to own and keep! 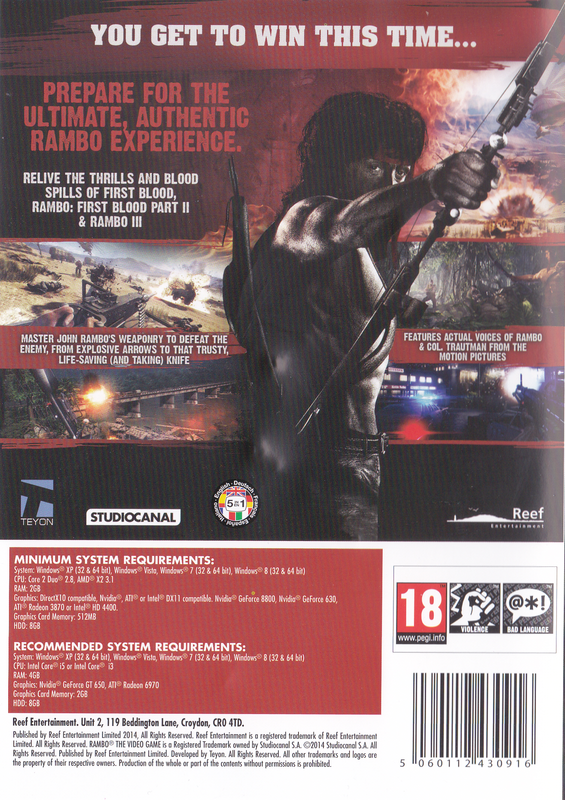 Rambo: The Video Game is an on rails shooter released on the Xbox 360, Playstation 3, PC and Steam. The game was developed by Teyon and was published by Reef Entertainment. The game was released on the 21st February 2014 here in Europe, and is due for release on the 25th March in North America, according to Amazon US. The version being reviewed is the PC version. Since this game got released, it’s been getting hate around every corner, the game has been getting terrible reviews, but I don’t think the reviews are justified, most of the reviews I’ve read or watched consisted of a man moaning and crying about the fact it’s a rail shooter and that you can’t move your character, it’s a rail shooter, you’re not supposed to move your character. There was actually an arcade Rambo game released by Sega in 2009, you would assume it’d make sense to compare the new with that, right? Well, nobody did! Although I guess I can understand everyone’s reactions, I blame the marketing, they tried to hide the fact it was a rail shooter in the trailers and gameplay videos, and even on the back of the box! Did they try to make it appeal to Call of Duty and Battlefield fans? Would you have guessed that it was a rail shooter from looking at that? I hope to give this game a bit more of a justifiable review, or at least look at the game from another perspective, I am a huge fan of rail shooter games, and to me, it’s a huge breath of fresh air to see a company trying to make one in an industry currently infested with call of duty clones. 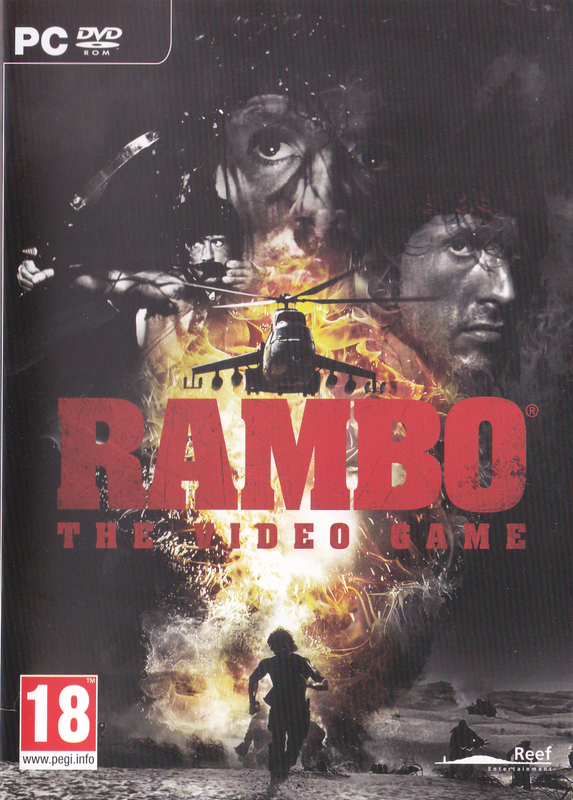 I’m also a big Rambo fan, so this game seemed right up my alley. EDIT: I just found out that it’s a 2000, not a 3000, so I’ve taken it back for a refund, and ordered that 3000 offer from eBay. Here’s another Harvester Screenshot I took, I found this hint funny! Another screenshot I was originally going to send, but didn’t, so here it is, this is a screenshot for Harvester on the PC.